There are faerie tales that grandmothers tell children around the table or before the warm embers of a crackling fire; tales of the old world, tales of giants, and the heroes who fought them, of dragons and beasts of wild abandon. Some tales end happily, though others are dark and promise misery and death. But for the most part they are just stories. But once in a great while, these stories are all too real. Tales of legends, mostly forgotten, spoke of the Hallowed Oracle, the prophecy of the Abyss Walker and of the unleashing of hell itself upon the mortal realms. Plunge into the land of Terrigan where legends promise to walk and a band of young adventurers becomes entangled in fate, destined to play a role for good or ill in the mysterious fate of the Abyss Walker. 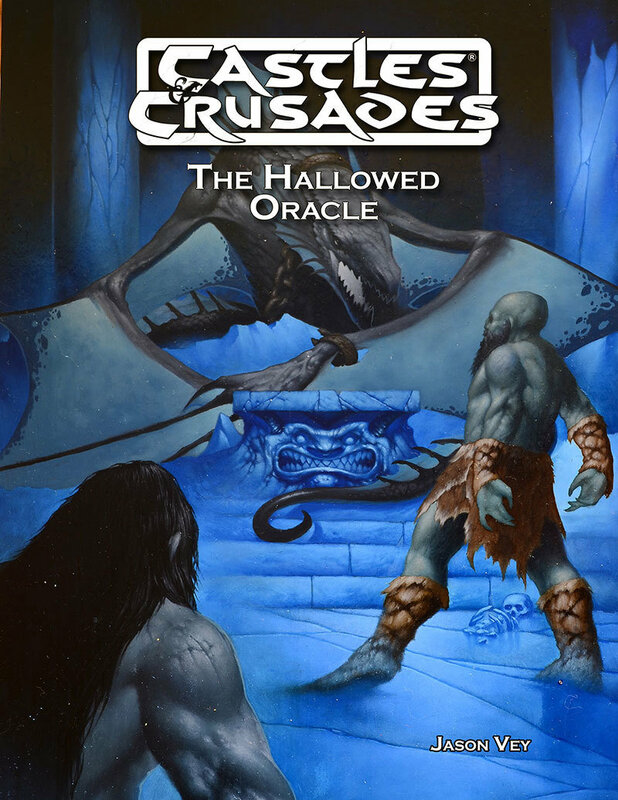 Enter a wild chase across the known world, battling ancient cults, tribes of wererats, defending keeps, and seeking this mysterious Hallowed Oracle, all the while trying to unravel the mystery of its prophecy. Just who or what is the Abyss Walker, and who is destined to help, or stop its rise…? A low to mid-level adventure for a party of 3-6 characters. Playable as a standalone campaign or part of a larger series. or part of a larger series.